Nothing infuses an urban vibe into a downtown like dense student housing . . . a powerful catalyst for a vibrant downtown. Portland must be doing something right if they’re talking about it Down Under! 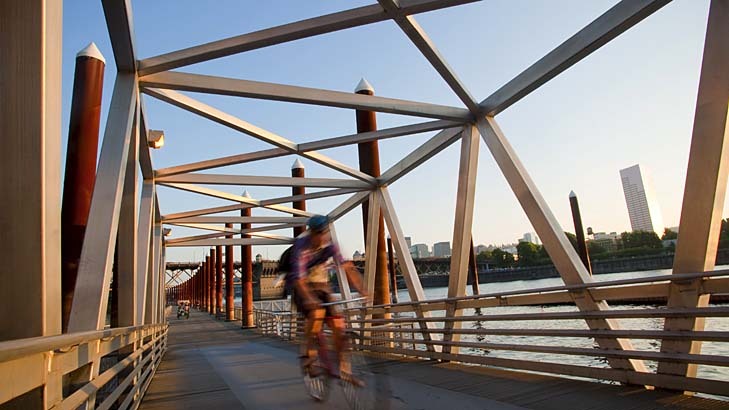 Portland – new eastside loop maybe a shaky addition to the City’s light rail but Portland’s full commitment to smart growth and transit holds promise. Portland – Good news for Portland-to-Milwaukie Light Rail supporters. On Sept. 18, residents will vote on Measure 3401. If it passes, it would require voter approval before county officials can spend money on future rail lines. Portland Loo coming to a city near you? PORTLAND, Ore. &mdash; Pity the lowly public toilet, a redolent reminder of the failure of the best minds in urban planning to address the most fundamental of daily necessities. Portland – interesting project with a San Diego connection. Siteworks project manager Andrew Leritz and San Diego-based architect Lloyd Russel are planning for the Creston Lofts, an 18-unit mixed-use development on Southeast Gladstone Street in Portland. Part of the plan includes lifting an existing house near the property and setting it on top of the new building.